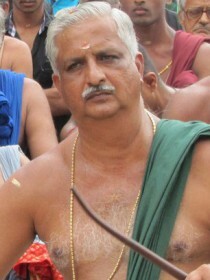 Peruvanam Kuttan Marar is a chenda artist. He leads several popular traditional orchestra performances in Kerala. He is a recipient of Padma Shri award in the year 2011 for his contributions in the field of art.